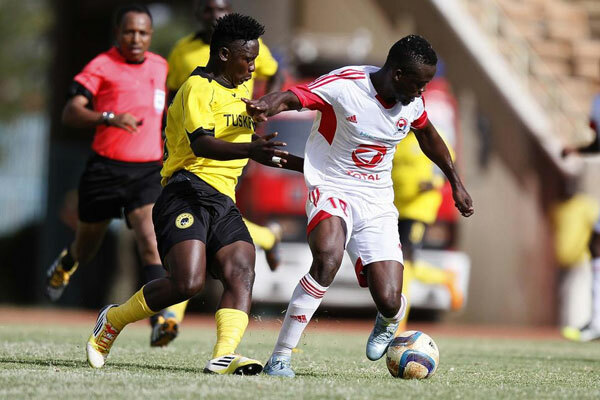 Gor Mahia are said to be interested in Tanzanian Left Back, Mohamed Hussein “Tshabalala”. He is said to have thoroughly impressed Dylan Kerr while he was coaching Simba in Tanzania. “Tshabalala” was voted Simba player of the year for 2016 and has been voted Tanzania player of the month several times. He has said he would be interested in a move to Kogalo depending on the offer. Gor Mahia is a big club and if they are interested in my services then I can’t turn it down,” he said to goal.com. Nevertheless he signed a three year contract with Simba in 2016 which keeps him under contract until 2019. Thus a move would require a hefty transfer fee. Gor Mahia are also said to be chasing the services of Ulinzi attacker Samwel Onyango. His performances in 2018 saw him earn a call up to the national team. Other reports suggest that Gor Mahia have already identified seven players who will be dropped to make way for other new signings. Meanwhile defender Harun Shakava has picked up an injury which will rule him out of the upcoming CECAFA senior challenge cup. Also missing the tournament will be the Rwandese trio of Kagere, Tuyisenge and Mugiraneza. They were left out when the Rwandese squad was named. Coach Dylan Kerr will have the final say regarding new signings. This according to the club CEO Lordvick Aduda. We can’t influence his decisions because now he is the owner of the team. As the management once the coach as identified the areas that need to be improved then it’s our responsibility to approach them and start negotiations,” Aduda told Citizen Digital. Kerr is intent on strengthening his side for a busy 2018 which will include the CECAFA club cup, Africa Champions league and other tournaments. The news that Kerr will have final say as it is he who knows best which player can fit in his system. Aduda says the club is deciding how to reward players for a successful 2017. “However once we receive our money of being crowned the champions we shall have arrangements on how to appreciate each player,” he said. New Harambee Stars coach Paul Put named his squad for the fortcoming CECAFA cup. Gor Mahia contributed 7 players, the most of any side. Goalkeepers: Boniface, Oluoch (Gor Mahia), Gabriel Andika (AFC Leopards), Patrick Matasi (Posta Rangers). 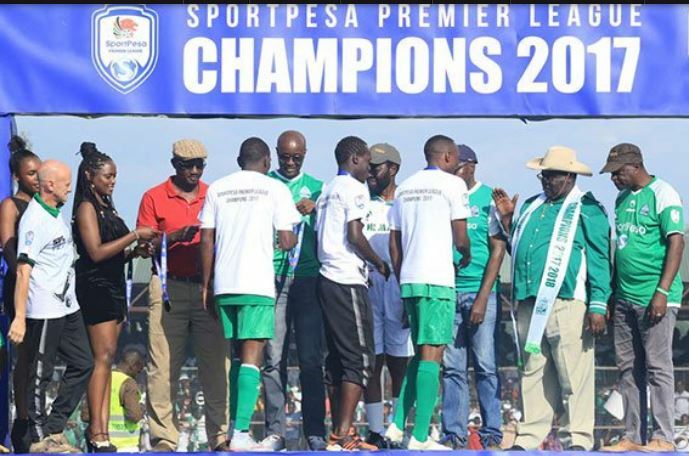 Defenders: Musa Mohammed (Gor Mahia), Charles Momanyi (Kakamega Homeboyz), Dennis Shikhayi (AFC Leopards), Jockins Atudo (Posta Rangers), Harun Shakava (Gor Mahia), Wellington Ochieng (Gor Mahia), Bernard Ochieng (Vihiga United) and Omar Mbongi (Ulinzi Stars). Midfielders: Ernest Wendo (Gor Mahia), Whyvonne Issuza (AFC Leopards), Kenneth Muguna (Gor Mahia), Patillah Omotto (Kariobangi Sharks), Duncan Otieno (AFC Leopards), Ovellah Ochieng (Kariobangi Sharks), Lawrence Juma (Nzoia Sugar). Strikers: Samuel Onyango (Ulinzi Stars), Kepha Aswani (Nakumatt), George Odhiambo (Gor Mahia), Masoud Juma (Kariobangi Sharks), Vincent Oburu (AFC Leopards), Stephen Waruru (Ulinzi Stars) and Benjamin Mosha (Sony Sugar). 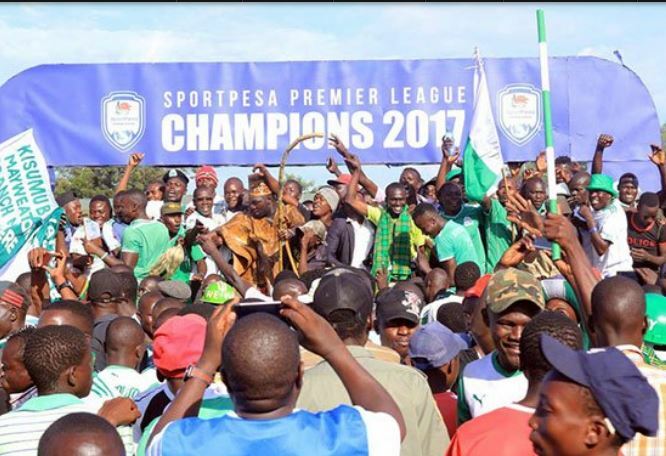 Gor Mahia chairman Ambrose Rachier on Tuesday led members of his technical staff to defender Karim Nizigiyimana’s house to present him with the 2017 SportPesa Premier League trophy and his personal medal. The Burundian right back was at his Nairobi West home recuperating from an ankle injury. “As a result of the deplorable state of Thika Stadium, our player was very badly injured two minutes into the match. We’ve through our own efforts taken him for surgery and he is in the process of recovery. “It’s because of the injury that he missed the coronation. He remains our player no matter how long he will take to recover. We shall be paying his full salary and also make sure he is well maintained,” Mr Rachier said. The player had missed the last five games of the season. Gor Mahia are in negotiations with striker Ephrem Guikan. The Ivorian who plays for AS Port Louis of Mauritius is well known to Kenyan football fans after his double sent Tusker FC crashing out of the 2017 Africa champions league. CEO Ludovick Aduda confirmed the news. Given that Gor Mahia have already reached the limit of foreign players they can sign, the club would need to release one foreign player should the deal go through. It is not clear whether this player is any better than the current set of strikers that Kogalo has. The mere fact that he is from CIV does not automatically better. His video CV is very sparse. Also there is no indication of whether he has undergone tryouts, medical exams or whether coach Kerr approves. 1979 is remembered by Kogalo fans as one of the most memorable years for the club. 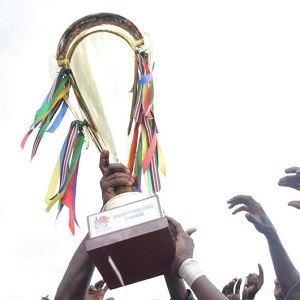 That was the year the club went on an amazing run and reached the finals of the Africa cup winners cup, thus capturing the imaganiation of the Kenyan public and becoming the first club in the CECAFA region to reach the finals of a continental competition. The team blending youth and experience also went on to win the league in grand style. In the beginning of that year, neighbors Uganda were in turmoil amid internal wars between Iddi Amin’s forces and Milton Obote’s forces. There was also the war between Uganda and Tanzania which was fought when Amin attempted to excise part of Tanzania. Ugandan national team players, Tim Ayieko and Abbey Nassur fled the turmoil in Uganda and crossed over to Kenya. Ayieko, quickly made his way into the Kogalo starting lineup where he played as a deep midfielder, playing alongside schoolboy super nova Sammy Owino “Kempes” and the legendary Allan Thigo in the brilliant Gor Mahia midfield. That Gor Mahia team coached by Jerry Imbo went on to win the league in 1979 and the CECAFA cup in 1980 and 1981. Tim Ayieko is still remembered today by Gor Mahia fans as one of the best players ever to play for the club and is a cult hero to many fans. Abbey Nassur made his name as a super sub, often coming off the bench to score crucial goals in local and international matches. Against Djoliba of Mali in the 1980 Africa champions cup, it was a penalty conversion by the sure footed Nassur that gave Kogalo a 1-0 win which sadly was not enough to see them through the second round. Nassur was a dynamo on the right wing often making incisive runs down the right flank and giving tiring defenders nightmares. During the opening match of the CECAFA club cup in 1984 against KCC of Uganda, Gor Mahia were down 0-1 in the waning moments of the game. Coach Len Julians introduced Nassur midway through the second half. It was his menacing run into the KCC penalty box that resulted in a penalty when he was brought down by a desperate KCC defender. The resulting penalty was slotted by new signing, George Onyango “Fundi” thus salvaging a point for Kogalo. Timothy Bobby Ayieko is born in 1954 to John Njoga (RIP) of Nyakach in Kisumu district and Hellen Anyango also of Kisumu disctrict. At age three, his parents emigrated to Uganda and settled around Kampala’s biggest slum of Kisenyi. While here, Ayieko joined Nsambya Primary School from where he completed P.7 before joining Pillais SS (now Nakasero SS) where he finished his ‘O’ Levels in 1970. However, due to lack of funds to further his education, Ayieko quit school to become footballer. He was straightaway drafted into Nakivubo Boys and by then the team acted as the feeder club to Express FC, which he later joined but failed to break into the first team due to his diminutive size and inexperience. In an effort to get meaningful employment, Ayiekoh left Nakivubo Boys in 1972 and crossed over to Natonal Insurance Corporation (NIC), which at the time was an emerging football powerhouse. At NIC, he linked up with fellow youngsters such as Billy Kizito, Ashe Mukasa, Stanley Mubiru to mention but a few. The same year, he was called up to the national youth team and was a member of the victorious side that won the regional CECAFA Youth title. It was after this scintillating performance that Ayiekoh attracted lots of attention and Express was quick to re-sign him in 1974. Ayiekoh’s joining Express coincided with the club’s first taste of success when they won the 1974 and 1975 league titles. Indeed Ayiekoh was a dominant figure for Express midfield and often dictated proceedings especially when going forward. One of Ayiekoh’s biggest admirers was KCC FC coach Bidandi Ssali, who also doubled as Cranes tam manager. He pulled all stops to land Ayiekoh’s signature and when he succeeded at the end of the 1976 season, Timo, as he was known, completed the country’s best midfield of Moses Nsereko and Angelo Dotte. Ayiekoh also helped KCC to fill the gap created by the inured Phillip Omondi, who was out for two years. Meanwhile Ayiekoh’s siblings weren’t far off in his wake; Enos Agogoh was a in KCC’s City Cubs and later moved to Express while Chris Alembe was a star player for both Cooperative and UCB. Initially things didn’t go to plan as expected. Playing deep in the midfield reduced Ayiekoh’s goal scoring ratio and he managed only one goal in 28 games he played in the 1977 season. However, KCC fans would see the best of Ayiekoh in January 1978 during the CECAFA Club Championship held in Kampala; not only did he terrorize opposition defences at will, it was as if Ayiekoh played like a one-man team. His hat-trick in KCC 3-0 win over defending champion Luo-Union of Kenya put the City lads in their first ever final. This match is best remembered for the drama after the final whistle when the Kenyans were angry that one of their own (a Luo) had destroyed them. Ayiekoh shockingly started the final against Tanzania’s Simba on the bench and judging from the early exchanges, all indications pointed to Simba winning the title. That’s until Ayiekoh and Angello Dotte were introduced for Moses Nsereko and Billy Kizito. The tide completely changed and the Simba goalkeeper was hailed for taking the match to the whole 120 minutes. 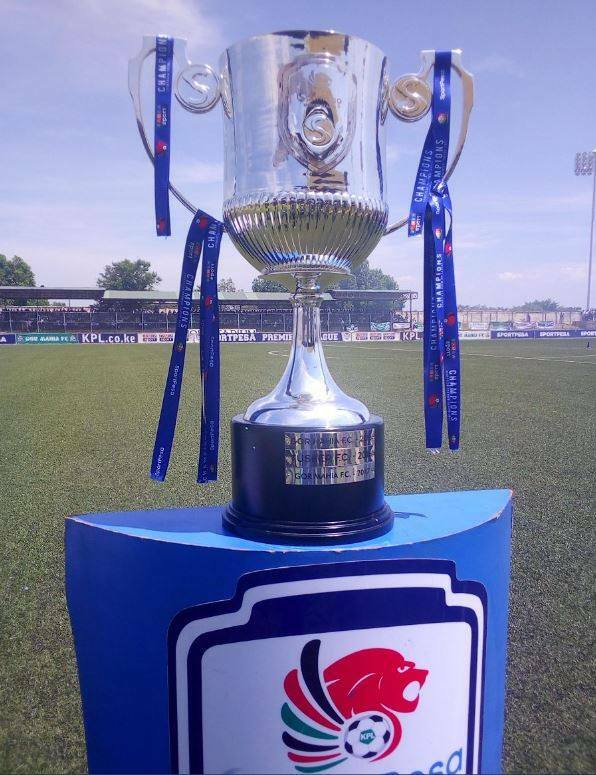 In the penalty shoot-out, Ayiekoh and goalie Jamil Kasirye missed their spot kicks but Moses Sentamu, Omondi and Tom Lwanga found the net to help KCC win what to date remains their only CECAFA title. Ayiekoh joined The Cranes in 1973 and was in the squad that eliminated Algeria to book a place at the 1974 Africa Cup of Nations. However, his small frame and young age proved the Achilles Heel and he narrowly missed the cut for Nations Cup team. The disappointment only motivated him to work harder and his game improved leaps and bounds when he was given the famed number 10 Cranes jersey later on in 1974. In that era, number 10 in any team was worn by star players with the ability to pull off unusual skills. Ayiekoh was part of The Cranes side that played in the CECAFA Cup in 1974, 1975, 1976, 1977 and 1978. His most memorable contribution was scoring the winning goal that eliminated Malawi from the 1976 semis. Uganda went on to beat Zambia in the final before defending the title in 1977 in Somalia. He was also a member of The Cranes squad at the 1978 Africa Cup of Nations in Ghana, but due to an injury he sustained on the eve of the opening match against Congo Brazzaville, he didn’t feature in any of the five games and to make matters worse, when the coach Peter Okee put him on the substitutes bench in the final against Ghana, it was discovered that his passport had been forgotten in the team hotel and thus missed the opportunity. Following the 1979 war, Ayiekoh and a few Cranes colleagues like Polly Ouma and Abbey Nassur crossed over to Kenya due to instability in the country. Ayiekoh and Nasur joined Gor Mahia and quickly rose through the ranks to become team skipper as well as coaching assistant. Gor Mahia went on to win the 1980 CECAFA Cup in Malawi. Interestingly, he was part of the Gor Mahia team that eliminated Nsambya in 1979 from the CAF Cup Winners Cup. 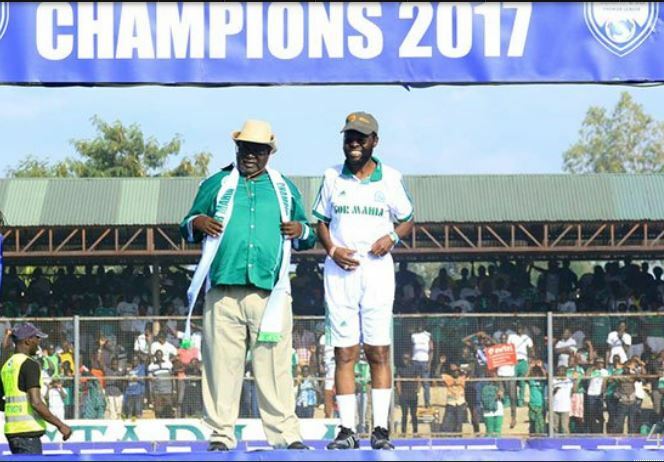 When Ugandan David Otti took over from late Imbo in 1981, Ayiekoh remained number 2 and helped Gor Mahia defend the regional title the following year in Nairobi. Ayieko played mostly as a midfield linkman and played pivotal roles in the Kogalo squads that won the league in 1979, reached the Africa cup winners cup final in 1979 and won the CECAFA cup in 1980 and 1981. In midfield he played alongside Allan Thigo, Sammy Owino, Jerry Imbo and Maurice Ouma Ole Tunda to form one of the best midfields the club has ever fielded. In 1982, Ayiekoh quit football and left Gor Mahia to concentrate on a coaching career. 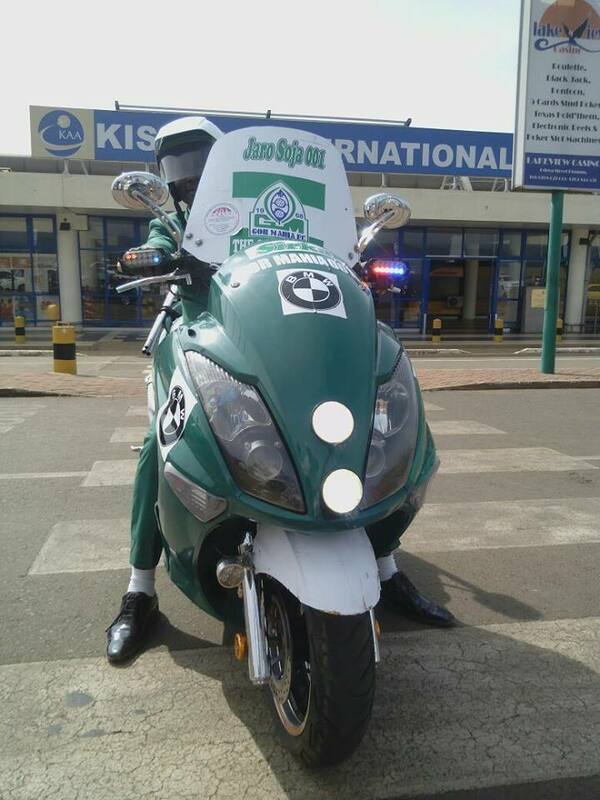 He moved to Nairobi-based Benham Holdings, which he guided to the topflight. In April 1985, Ayiekoh returned to Uganda for holiday but a few days into the country, SC Villa sacked David Otti and immediately asked him to handle the club temporally as the Villa Park searched for a replacement. 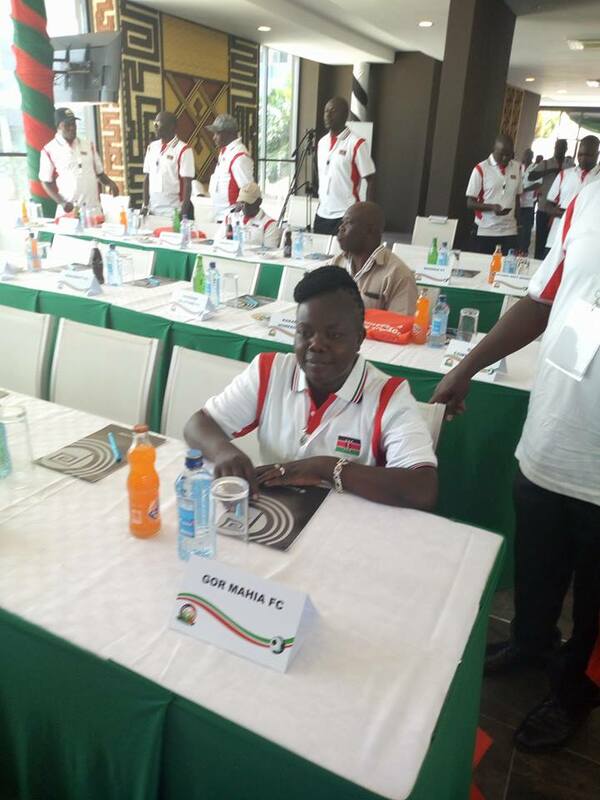 However, the team registered mixed results and finished the season without any silverware and the following year the club appointed Polly Ouma, who had also just returned from a self-imposed exile in Kenya. Ayiekoh remained as an assistant. In 1986, the pair went on to win Villa’s first league and Cup double and in 1987, they did not only retain the league but also won the CECAFA title. It was in the same year thst Ayiekoh got a ‘B’ coaching license from Germany. In 1988, SC Villa recruited British tactician Geoff Hudson and made both Ouma and Ayiekoh his assistants. Ouma was incensed and immediately quit but Ayiekoh stayed behind to oversee more success, the peak being Villa’s fairytale run to the 1991 Africa Club championship final where they lost to Tunisian side Club Africain. Ayiekoh went solo after Hudson left the club in 1992. He guided the club to the league title and also reached the final of the inaugural CAF Cup before losing to Nigeria’s Shooting Stars. Though Ayiekoh added the 1994 league title among his many trophy collections, he was forced to resign in 1996 to pave way for Eddie Butindo. His coaching nous also saw him handle Uganda Cranes. He started out as assistant coach to Ouma from 1989-1995 and that spell saw Uganda win three CECAFA titles. He was later named Cranes head coach in 1995 to replace Polly Ouma who had quit – but he too quit the following year. He returned to club football in 1997 when he was offered the reins at Kakira Sugar FC and has never looked back since. He twice guided the club to the Super League and has since taken over the role of Kakira Sugar Sports Officer, in which he concentrates on tapping young talent at the company’s recreation ground. Ayiekoh’s calm demeanor saw him mentor many players like Paul Hasule, William Nkemba and Sula Kato among others The latest being Maji coach Charles Lukura Ayiekoh, who adopted the Ayiekoh name in honour of his childhood idol and mentor. Abbey Nassur for his part returned to Uganda in the late 90s and found success coaching Kampala City Council FC in 2002 and 2003, the same team he had tormented at the 1984 CECAFA cup. Today he is an assistant coach at Maji FC. Both Ayieko and Nassur were voted amongst the greatest Ugandan players ever by a panel of former internationals. Ayieko passed away in Jinja on November-19-2017 due to heart problems. He had received treatment in India but his condition continued to worsen over several months. His daughter, Lilian Ayieko confirmed that the remains of his father are at Jinja Mortuary. The Council of East and Central Africa Football Association (Cecafa) Secretary General Nicholas Musonye was a close friend of Ayieko, who later coached Villa and Uganda Cranes as well. “He was one of the most disciplined, strong and exciting midfielders to thrill crowds in East and Central Africa.” said Musonye to the Nation. The East African Standard interviewed Kogalo officials and players to find out how current coach Dylan Kerr compares to Ze Maria. 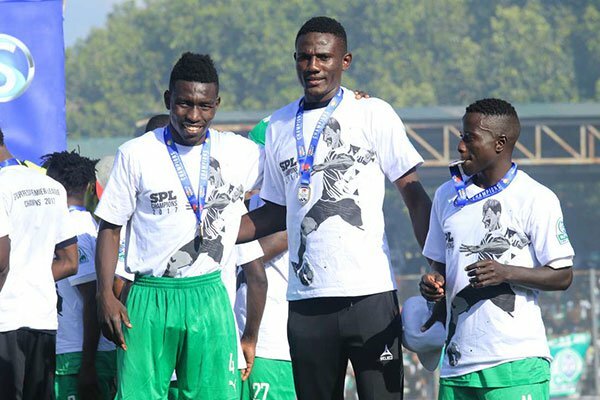 The last three coaches to win league titles at Gor Mahia, if you include Dylan Kerr, have one common denominator. Forget fact that they’re all British. Bobby Williamson, Frank Nuttall and Dylan Kerr all came into the club midstream of the seasons and ended up winning the league title in their first years. We all know coach Bobby’s 2013 was the most celebrated for he brought back tears of joy to a club whose fans had all but accepted to live with the bitter truth that their glory days were gone and finishing second, like they did in 2010, was an accomplishment. When he replaced Bobby Williamson towards end of 2014, not many knew who exactly coach Frank Nuttall was save for the fact that he was Bobby’s chosen one. But a good coach is known by his results. His record in 2015 is out there for all to see. José Marcelo Fereira, alias Zé Maria, came to K’Ogalo with the very pedigree of a coach — exactly what team manager Jolawi Obondo calls a text book coach. Only falling short of calling Zé Maria a mannequin in a coaching school lab, Jolawi Obondo describes the Brazilian as an astute student of European football schools. On contracts for example, Zé Maria knew in and out what was required of him by the club, did his bit and was often livid whenever he felt the club did not honour its end of the bargain. 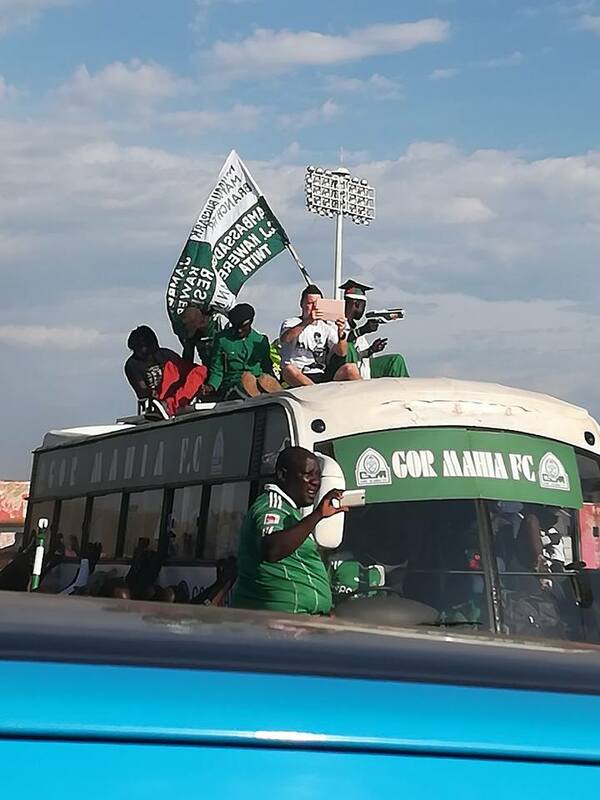 Under Zé Maria’s three-man defence, Gor Mahia conceded 13 goals in 18 matches as compared to Dylan Kerr’s eight in similar number of outings. Zé Maria did not last at the club. Nevertheless he charmed many with his ability to wear his boots and play with the boys at the same time he coached. An introvert to many, but club Assistant Secretary General Ronald Ngala thinks otherwise. “Maybe language barrier also came into play,” asserts Ngala. Coming from Brazil, a Lusophone country, Zé Maria would pass for an introvert, his circle of friends predominantly being his assistants who spoke his language. Then comes the very comical Dylan Kerr. This amiable former boss at Tanzanian giants Simba SC. His first task? Walk around the city and tweet every picture of it. The Englishman arrived at Gor Mahia and immediately started bringing in changes. The first casualty was Zé Maria’s backline. Dylan didn’t believe three men could man a backline often marauded by physical athletes; Wycliffe Ochomo and the likes. It is this flexibility in picking systems of play and players to field that is well pronounced in Dylan Kerr’s work ethics. 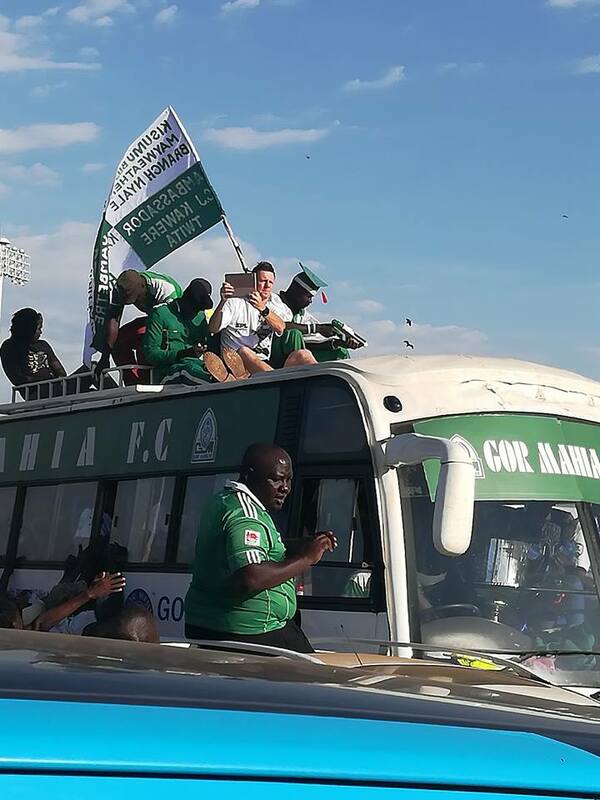 Football is a result-oriented sport and Kerr has won the league on his first attempt, only rivaling Bobby Williamson, Frank Nuttall, the great Len Julians and Paul Odhiambo— the first coach ever to win the league title at Gor Mahia in 1968. For the very conservative Gor Mahia fan, to whom winning the league title makes no sense if the club cannot beat AFC Leopards, Zé Maria has an edge over the Englishman. Zé Maria had three chances at Mashemeji Derby and he delivered resounding victories; 2-0, 3-0 and 3-0. Kerr on his part, has only played once in this fixture and only managed a draw from a losing start — 1-1. 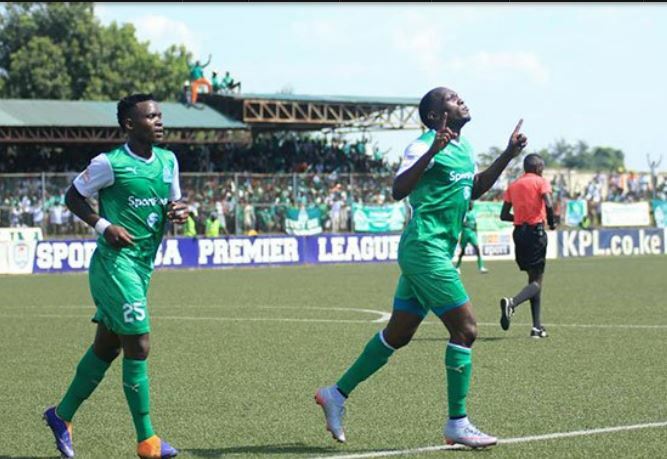 Further, there is some sweet and sour taste in K’Ogalo fans’ mouths to imagine that the club’s longest winning streak happened under Zé Maria in 2016 the same season they didn’t win a trophy. 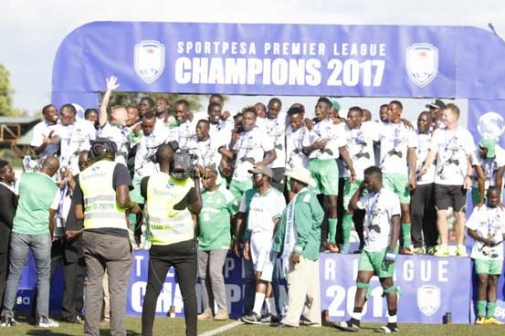 Gor Mahia went on a seven-match winning sprawl in the league between April and July 2016 and that result has not been rivalled — not even the glorious 2015 comes close. If there’s one man who knows that there’s no second chance for first impressions, it is Kerr. He edged out Zé Maria when he won his first five league matches at the helm. In fact, Kerr had to wait until his 13th match to face his first defeat. Zé Maria was a bit extravagant with losing — he lost in his fourth match. One has won the league, the other one did not. 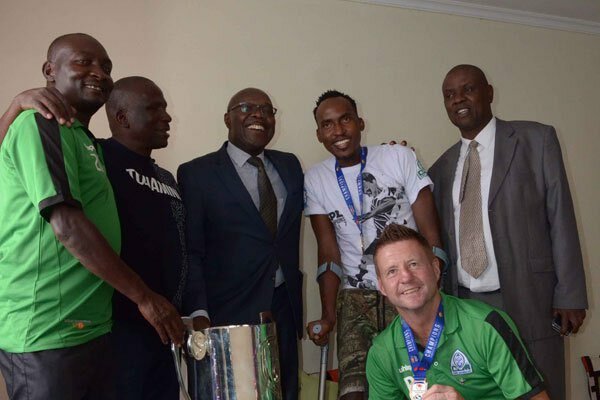 So as Gor Mahia coach Kerr deservedly picked up his medal yesterday he should have been proud of every piece of it because surely, he has played his part in taking Gor Mahia where it belongs; national dominance. 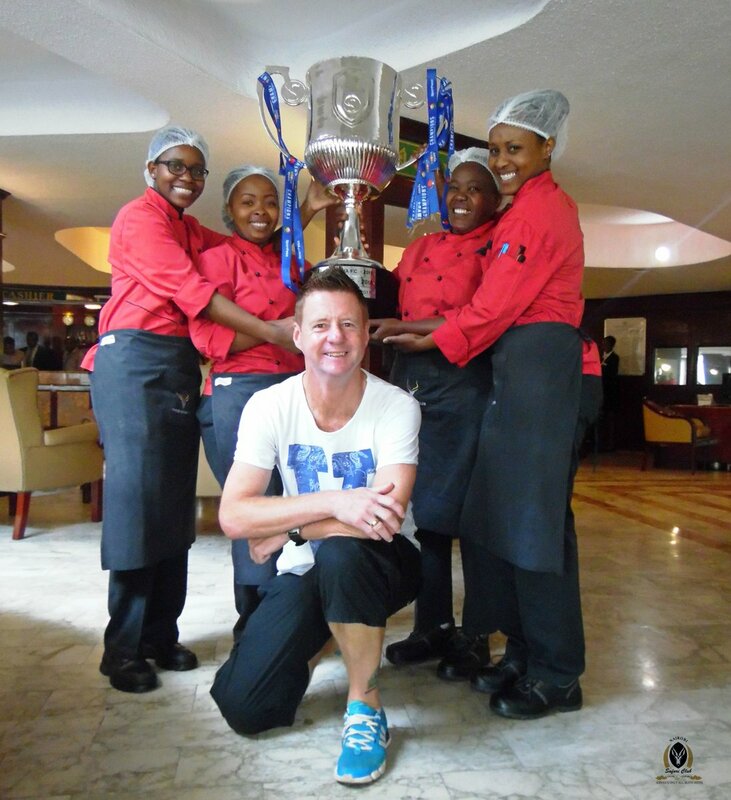 Gor Mahia’s Scottish tactician Dylan Kerr has been voted Fidelity Insurance Coach of the Month Award for September. 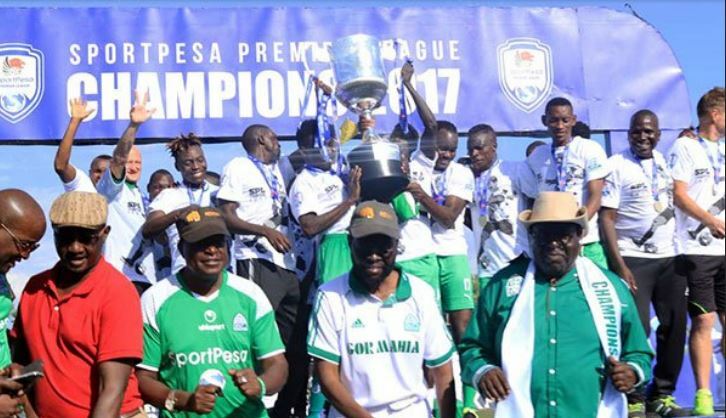 The month of September was crucial in securing Gor Mahia’s 16th title. During this period, Kogalo won 5 games and drew one. 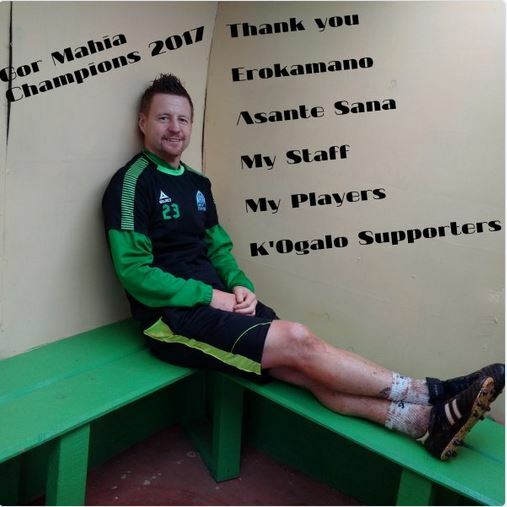 Kerr reiterated the fact that he focused on taking Kogalo to greater heights at continental level. “I’m not going anywhere. I have a commitment to Gor Mahia and my focus is on building the team for next year’s CAF Champions League and another premier league medal. We have worked hard this season and will definitely put in more effort to perform better,” the tactician said to Citizen sports. Kerr like others is appalled by poor attendance of KPL matches and wants KPL to do something. 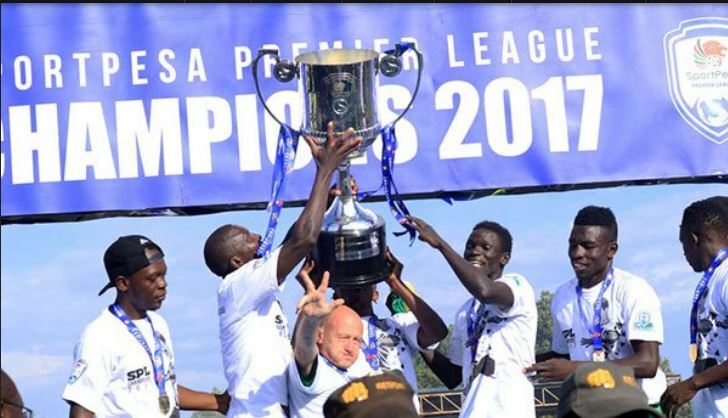 And unlike 2014 when Kogalo lost their match to KCB after the trophy presentation, Kerr wants to keeep players focused. “Our last game should be thrilling and we have worked on it without any complacency of having won the title. We want to play well and win for our fans. That way lifting the title feels good. Losing a match then walking to collect winners’ medals does not feel right so we have to win that game,” he concluded. Saturday 18th: morning hours Wuontimbe arrives by air to stadium. Musa Jakadalla entertainment from 10am. Match kicks off at 2pm. Gate charges 600 (main stand). 300 (terraces). Gor Mahia will be playing SoNy Sugar at Moi stadium Kisumu on Saturday. CEO Ludocvick Aduda explained why Kisumu was chosen. “Since Nyayo Stadium is under construction, we have Kisumu registered as our alternative match venue and in this case, we thought that is the most suitable venue for the big day,” Aduda told The Standard Sports. “It will be a big day for the players and technical staffs and we are humbly requesting fans to give them good space and time to enjoy their moment because ahead of the achievement, there were indeed a lot of sacrifices from the team and it will be an important moment in their football career. To give them easy time to take pictures and enjoy with their families if they like will be the most appropriate thing. Fans can join later on after they have had their moments,” he added. 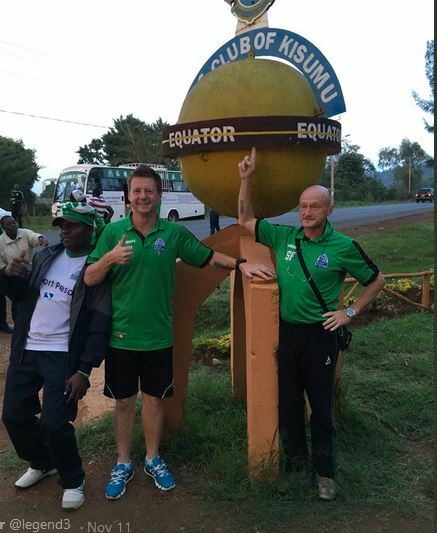 Gor Mahia coach Dylan Kerr surprised the Kenyan public on Monday when he got a tattoo of the club’s logo on his leg. The tattoo was curved into his leg at a tatoo parlour on Moi avenue. Some Kenyans questioned the wisdom of a tattoo considering that he is not going to be at the club forever. Kerr answered that question. “It’s there to stay. Its there for history. This is a fantastic memory. I have got three tattoos, two football ones and one for my mother who will be here in the course of the week,” he told Nation Sport on Monday. Kerr has said often that he is very happy at the club because Chairman Rachier gives him freedom. “I had planned to unveil it as a surprise in our last game on Saturday but you guys have revealed it. Should I plan for another surprise? I don’t know,” joked the 50-year-old. 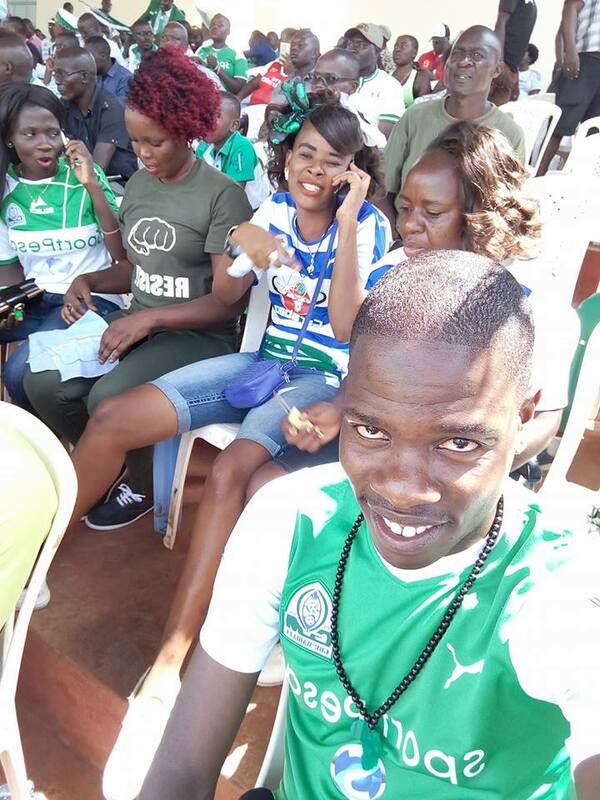 Other fans wondered whether he would get a tattoo each time Kogalo wins a trophy. But this is his first major title.